What Can I Post on Instagram? Home / blog / What Can I Post on Instagram? Next, you need to learn What sort of Posts you can use on Instagram? So, here we go. Just like on Facebook, You can also use Images on your Instagram Account. When creating image posts, it’s important to post a variety of photos. Try to capture the culture of your brand with lifestyle shots and behind-the-scenes looks. Don’t post too many pictures of your product as an Instagram platform is about creating engagement and not about pushy sales. Let’s look at the different scenarios that you can use to take Images and post on your business profile. If you are a Professional like a Fashion Designer, an Artist or a Baker etc. then you can use “Behind the Scenes” scenario to create interesting content. We all love to showcase our end product but what goes on behind is more interesting to your audience. To showcase the story too. 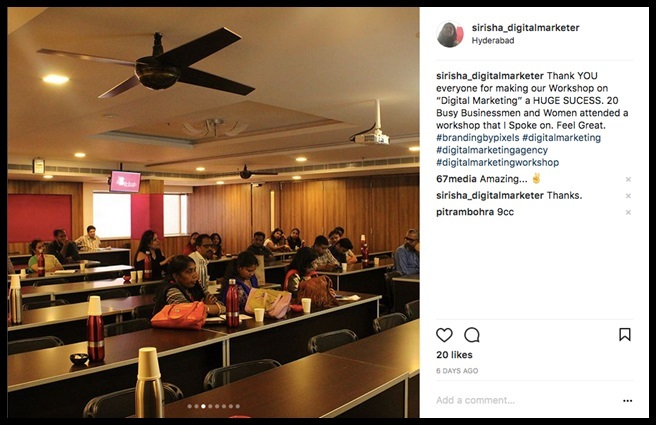 If you are an SMB then it makes more sense for you to involve your employees too in this endeavour to use Social Media for your marketing purposes. Rather than take the complete ownership to create Posts for your business let your employees also use their creative skills to create new content. So, encourage your employees to post on social media on their personal profiles regarding “A Business Win”, “A Satisfied Customer”, “A Social Activity that was conducted by your business” etc. and using hashtags let them mention about your profile. 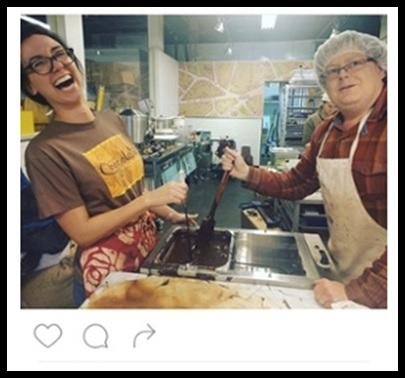 You can also share the posts from your employee’s profiles onto your business profile. 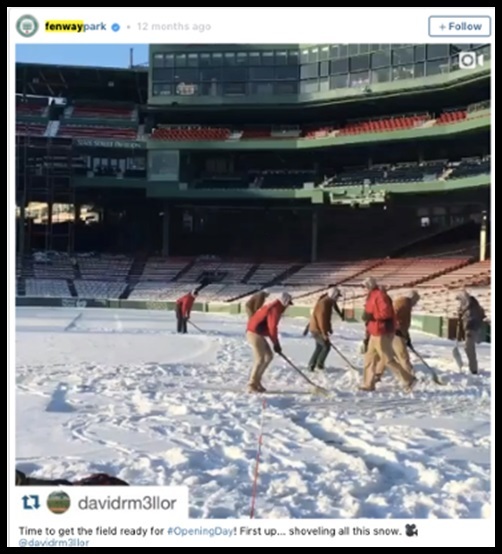 Example: Fenway Park which is a Stadium in the US often reposts images from its grounds crew preparing the stadium for a game. Just be sure to tag or credit the individual who posted the media first. Whenever you meet your clients seek permission from them to take a Selfie with them and take their Instagram handle so you can tag them in the post. This ensures that you also reach to their friends. 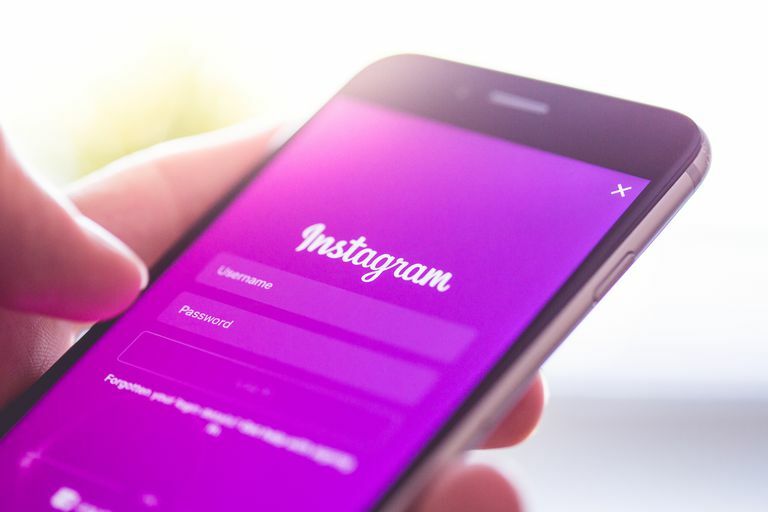 If you are a B2C company and if you do have clients who are younger audiences like 18 – 35 yrs old then the probability of they being on Instagram is higher than on Facebook so don’t ignore this opportunity to build traction to your Instagram account. 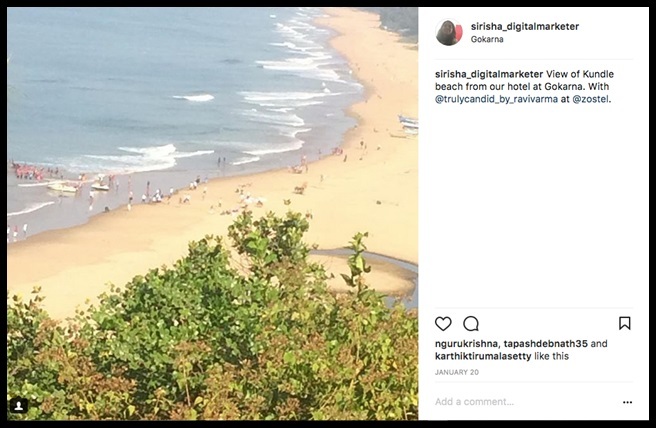 Educational Posts which will add value to your user can also be used to post on your Instagram account. But make sure that the content is interesting, not boring. Don’t try to fit in all the “Gyaan” in 1 post, but break it down into multiple posts. Example: If you are a Life Coach, don’t try to create a post which will give your followers 100 tips to make their lives happy. Start with 1 small tip that they can practise each day and slowly build on it. 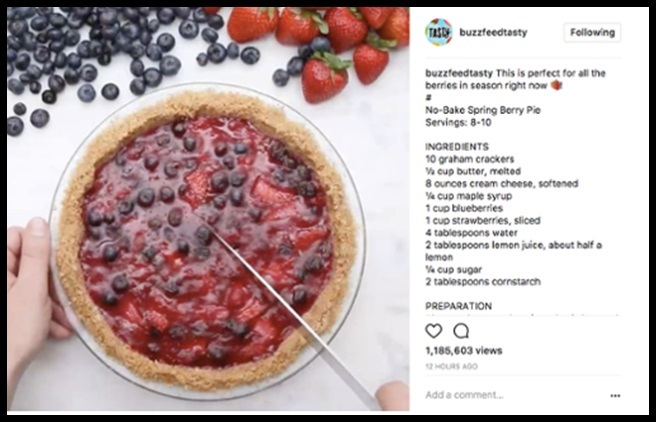 Buzzfeed uses “Tasty recipes” to create interesting education post content wherein the recipe is displayed in the post along with the image of the end product. All of us, feel low sometime or the other and we drive inspiration from a movie clip or a quote that we read somewhere. If that is the case with you too don’t be worried to share it with your audience on Instagram. This helps your followers to understand your core values too. Share your News. Success or Failure does not matter. If you have a Success story blow the horn top off your lungs but if you face a Failure, don’t curl up and sleep – Share that too. 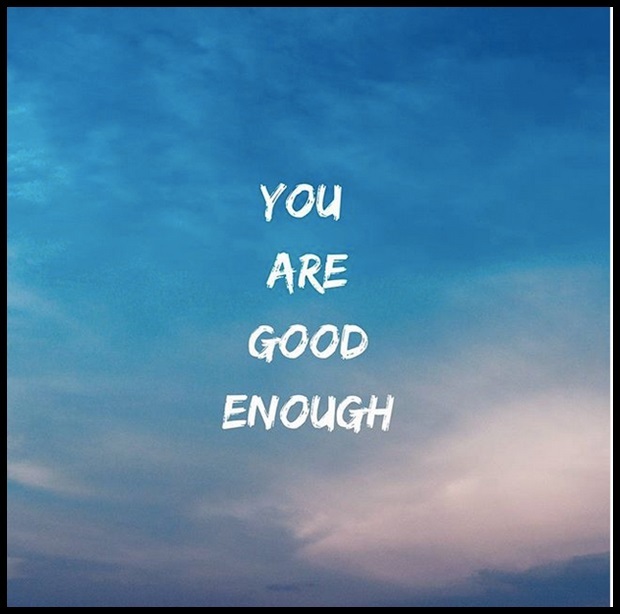 This will let your followers know that you are Human too and it will create an emotional connection with them. Let them see who you are including your vulnerabilities. Be Careful with this kind of post, you can always air your views regarding you’re a Current Affairs topic but if the topic is too controversial then let it rest, don’t try to put your opinion out there. It’s better to be silent in such situations rather than be controversial. Because if Social Media is going to boost your post and get you new audiences quick it can also create a negative stigma regarding your business even quicker. Remember, you are at the end of the day representing your business so anything that you say will be perceived as your business’s voice. So make sure you use the right content to comment on. Don’t forget to TALK about your Work. Yes, yes we know we asked you not to talk about it too much but if you post a minimum of 4 posts on Instagram its ok to talk about your work in 1 post. After all, we are here to showcase our work right? 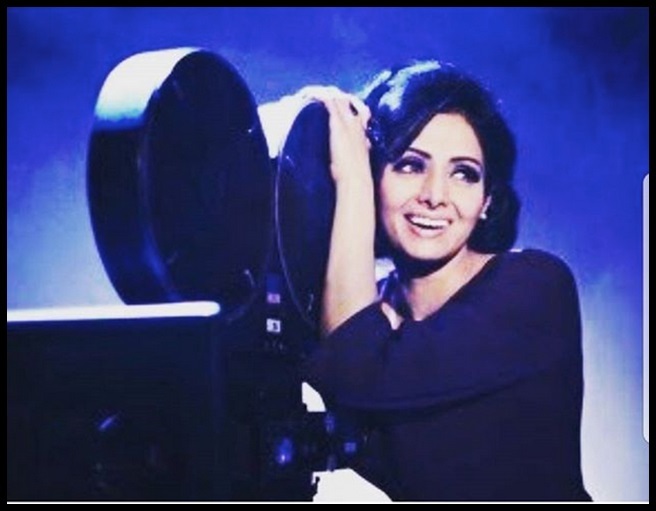 “A Maverick, Love Travel, Blow candles on 2nd March”. That’s it??? I know we are trying to make ourselves “Personable” and “Likeable” by participating on these social media platforms but don’t completely lose out on the intention of “Promoting your Business”. Also don’t be afraid to talk about your “Personal Life”, if you went on a vacation cool, put a picture of it. Remember, don’t load your profile with continuous pictures and videos of that Vacation, that is a complete no-no but use a couple of interesting pictures, maximum 3. This is also to showcase you as a Person “Who works Hard but is also a Human and needs to take a Break”. So go ahead break a leg but remember Maximum 3. Now that we have covered “Types of Image Posts” that you can use on Instagram, next week we will talk about “Types of Videos” that you can create in the “Instagram app” itself.